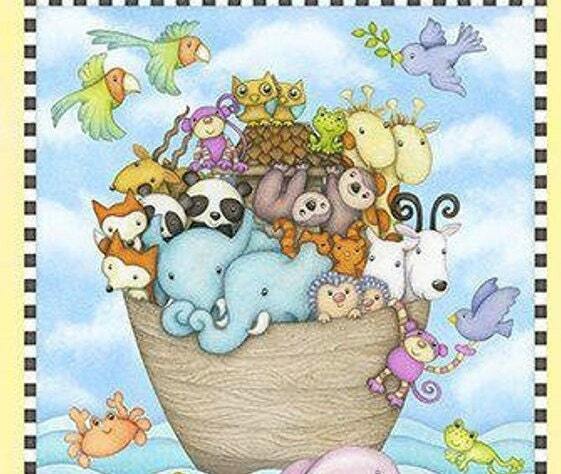 A delightful depiction of Noah's Ark and the animals displayed two by two. Wonderful shades of green, yellow, orange, blue, pink, black and brown. Such adorable expressions to warm your heart. The center panel measures approximately 31 inches tall and 12 1/2 inches wide. 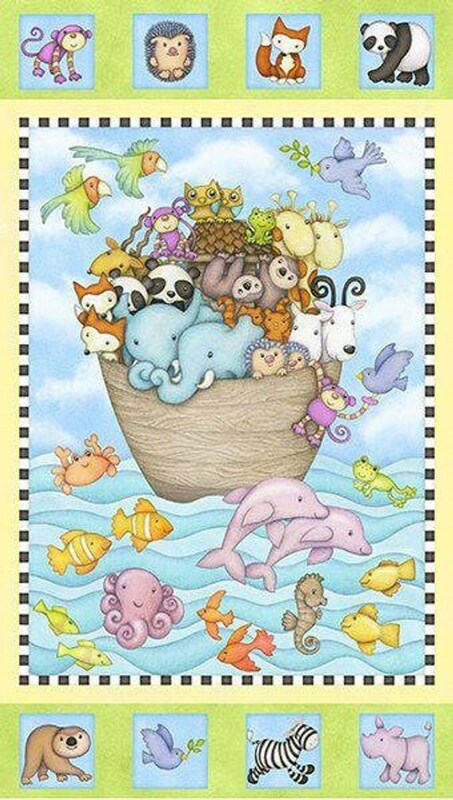 The fun panel is surrounded by 4 squares on top and bottom with adorable animals measuring 4 inches squares. 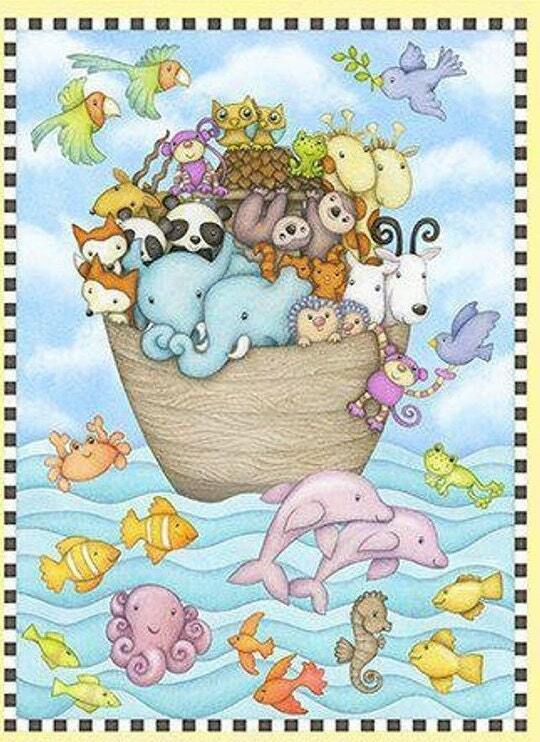 A delightful fabric to welcome home a new little person. 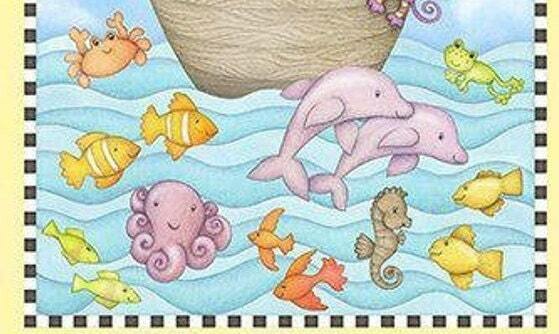 All fabric from The Quilted Nursery Fabric Store is cut directly from the bolt in continuous yardage. We now offer fractional yardage cuts for your sewing, quilting and crafting convenience. Same day shipping except for Sunday and holidays. All shipping overages are refunded on shipment of fabric. This fabric was very nice.